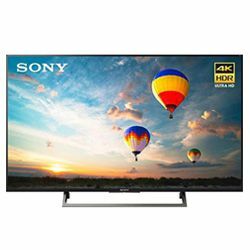 I had a chance to test and compare two great solutions provided by Sony - Sony XBR49X800E vs Sony XBR49X900F and this review should help people who are looking for a good TV. The Sony XBR49X800E belongs to the X800E series, while the XBR49X900F belongs to the X900F series, both series include other models with various screen sizes, but the X900F series include more models with bigger screens. The XBR49X800E is a 2017 year model, while the XBR49X900F is a 2018 year model. The XBR49X800E uses an ISP display, while the XBR49X900F uses an LCD display. However, both models use Direct LED backlight technology. These models belong to the middle price range – they will cost you around $500. 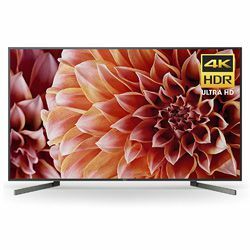 Both models support the modern 4K HDR Ultra HD video format, but the Sony XBR49X900F vs Sony XBR49X800E refresh rate comparison shows the difference. The XBR49X800E is 60 Hz, while the XBR49X900F supports 120 Hz, preserving all the details during dynamic scenes. The XBR49X800E uses the Dynamic Contrast to Enhance technology to make the colors more vibrant, while the XBR49X900F uses the X-tended Dynamic Range Pro technology. Both models support the Triluminos Color technology. These Smart TVs use high-performance processors – you can easily navigate through the menu. The XBR49X900F uses the X1 Extreme processor, while the XBR49X800E uses the X-Reality PRO picture processing technology for image upscaling. Both models have many features, like Alexa, Google Assistant support and Android TV. However, the XBR49X800E supports the picture in picture mode. The Sony XBR49X800E vs XBR49X900F design comparison shows that both models have almost the same size – 43,14x27.2x9.9 in for the XBR49X800E versus 43.03x27.32x10.55 in for the XBR49X900F (with the stand). Both models can be wall-mounted. The XBR49X800E has a rectangle standing, while the XBR49X900F has the Y-shaped feet. Both models have extremely thin bezels. Both models have 4 HDMI and 3 USB ports. The picture is amazing – it can be a great monitor as well. The resolution allows you reading text easily. The colors are stunning. The Wi-Fi module works well. The interface may start lagging when you frequently switch between applications. It may be difficult to close an application using the built-in controller. The image quality is stunning – no bleeding and the black color is well saturated. The setup process is simple and it does not require major video adjustments. Some applications can make the TV unresponsive and you may have a lag downloading content via an application. The built-in speakers are not great.